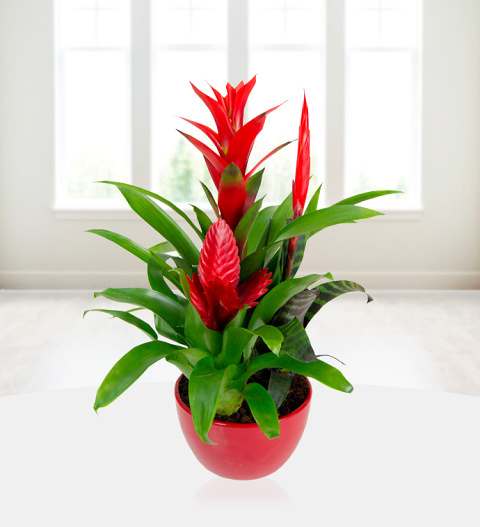 Our Christmas Bromelia plant is a dashing trio of festive red Bromelia flowers potted in an attractive pot. This is an ideal gift to send this Christmas and is easy to look after requiring minimal care. Also included is a free box of Belgian chocolates. The plant is available for next day delivery. Chocolates may contain nuts.